Many people believe that the 1962 "October crisis," as the Cubans call it, represents the closest that the world has ever come to a nuclear war. It was a defining moment of John F Kennedy's presidency, a touchstone of cold war history. For 13 days the United States and the Soviet Union came close to the unthinkable. US defence secretary Robert McNamara wondered whether he "would live to see another Saturday night" and Dino Brugioni, a member of the CIA team monitoring the weapons build-up, saw no way out except "war and complete destruction." Although Cuba was sidelined in the ultimate resolution between Kennedy and Khrushchov, a commitment was given that the US would not invade the island. Technically Washington has kept to this - with no overt military action since the Bay of Pigs - but the last 50 years have been marked by aggressive interference in every other manner. The "October crisis" was simply the continuance of an unrelenting obsession with Cuba and an unremitting class hatred and fear of the Cuban revolution. US interference in Cuba dates right back to the start of the 20th century. After the Spanish-American war the US Congress passed the Platt amendment of 1902, which stipulated that Cuba "shall never entry into treaty ... with any foreign power," that Cuba's finances would be under the control of the US and that it would "exercise the right to intervene." It also said the US would have a right to a military base on the island. Although the Platt amendment was repealed in 1934 every president since the passing of that legislation has sought to achieve its objectives. Eisenhower began to plot the overthrow of Fidel Castro soon after the triumph of the Cuban revolution. At the national security council meeting on January 14 1960 undersecretary of state Livingston Merchant noted that "our present objective was to adjust all our actions in such a way as to accelerate the development of an opposition in Cuba which would bring about … a new government favourable to US interests." The programme drawn up by Merchant led directly to the Bay of Pigs. At the same time a national intelligence estimate made clear what the new fear was, noting that "Latin America is ripe for revolution in one form or another." It was the example of Cuba, the potential of Cuba, that had to be destroyed at all costs. That is why Kennedy chose his brother in 1961 to lead a top-level agency group to oversee Operation Mongoose, a programme of paramilitary operations, economic warfare and sabotage designed to visit the "terrors of the earth" on Castro and topple him from power. That is why, as the Excomm tapes clearly show, Kennedy's advisers were ready to go to war over Cuba and the missiles. As McNamara said 30 years later, "If I had been a Cuban or Soviet leader, I think I might have expected a US invasion." Analysis written by the State Department policy planning council in 1964 offers further insight. "Perhaps of even greater moment is that the primary danger we face in Castro is ... the impact the very existence of his regime has upon the leftist movements in many Latin American countries." How prescient this was and how responsible it has been for the fear that has driven over 50 years of economic blockade as well as terrorism, pollution, chemical warfare, assassination attempts and the waste of hundreds of millions of dollars on trying to overthrow a sovereign state. It has driven laws through Congress further tightening all aspects of the brutal policy so eloquently denounced by Cuban Foreign Minister Bruno Rodriguez Parrilla on November 13 2012 at the United Nations, when for the 21st time the world voted for the end of the US blockade. 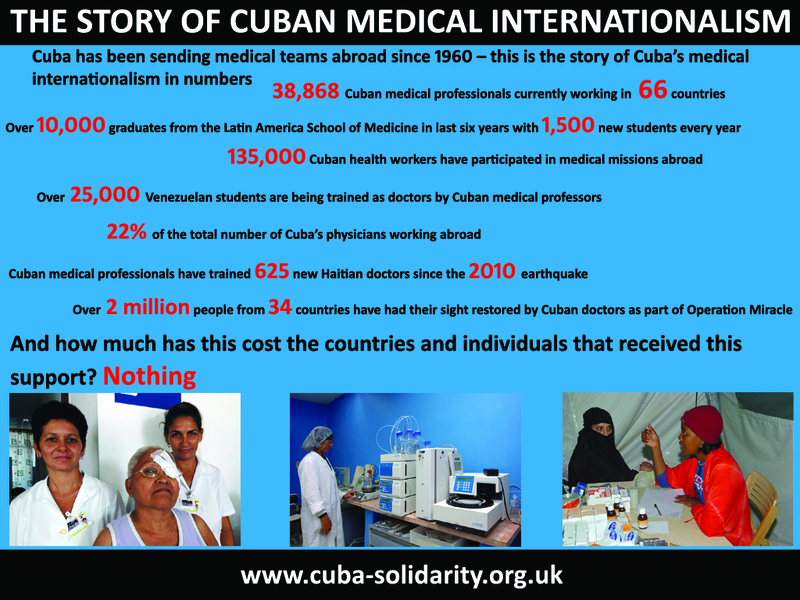 Rodriguez provided a huge list of medicines and equipment that Cuba is prevented from buying from US companies and the terrible suffering this causes patients. He gave the names and ages of babies and young children waiting for heart operations because they are prevented from accessing the food supplement needed for intravenous feeding. The patients forced to be sent to third countries because US companies could not sell Cuba life-saving medicines for their specialist conditions. The children who lost their eyesight because the US government prevented their doctors from buying the cancer drugs that could save their eyes - 15 in the last year alone. What is abundantly clear to everyone around the world is that US hostility to Cuba does not stem from its alleged human rights failings but from its social and political successes and the challenge its unyielding independence offers them. It is the fact that they have chosen socialism that the US cannot accept. Saddled with a siege economy by the illegal US blockade and a war-time political culture ever since the October crisis the people have achieved health and education standards that match or outstrip not only the US but countries in Europe as well. 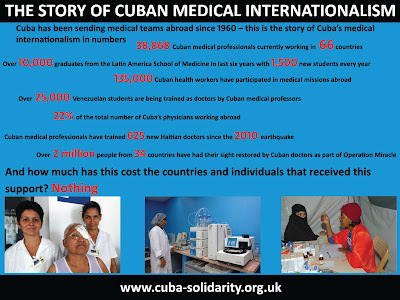 It is Cuba's selfless internationalism and solidarity, sending teachers, doctors and nurses to over 70 countries around the world, that shows what can be achieved by focusing on humanity and not wars. 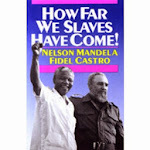 As Fidel said in 2005 to an audience of students, "We have never considered producing nuclear weapons. "We possess a weapon as powerful as nuclear power and it is the immense justice for which we are struggling. Our nuclear weapon is the invincible power of moral weapons." President Barack Obama ran under the electoral banner "Forward." If he genuinely wants change we can believe in he can start with his anachronistic cold war policy towards Cuba, which not only alienates the US from its neighbours in Latin America but from the rest of the world as well. When will he accept that 188 countries opposing the US is a mandate for real change? • This article was written by Bob Oram for the Morning Star. Bob will be one of over 50 speakers at the Latin America Conference this Saturday at Conway Hall, London WC1. You can book tickets online here. Since the Cold War, the United States has had an unhealthy preoccupation with Fidel Castro's mortality. It's like a vestigial tail that our body politic refuses to shake. Killing Fidel Castro started as a high U.S. government priority before the Bay of Pigs Invasion, as the National Security Archives - and many others - have thoroughly documented. Our government spent years, directly and indirectly, trying to hasten his demise. As years past, and plot piled upon plot, a rough accounting tells us that Cuba's former leader endured 600 assassinations attempts. He joked a few years back, "If surviving assassination were an Olympic event, I would win the gold medal." It was a Republican president, Gerald Ford, and a wise one who decreed that the United States was out of the assassination business, a business that set us back in the court of world opinion to at least the same degree as our policy of unilateral invasions. Nonetheless efforts via CIA "assets" to kill President Castro persisted but never succeeded into the new millennium, and the grim fascination with the Cuban leader's lifespan waxed with every news item about his health only to wane after he recovered. In the summer of 2006, he temporarily stepped aside as president due to illness, setting off rounds of speculation about a possible cancer. Months later, the Director of National Intelligence, John D. Negroponte, told the Washington Post, "Everything we see indicates it will not be much longer . . . months, not years." In 2007, the Miami city commission made plans to throw a party at the Orange Bowl when Castro died, but he outlived that facility which was demolished in 2008. The rumors never stopped, long after the reins of power were formally transferred in February 2008, and Raúl Castro became Cuba's president. They intensified when he disappeared from public view after being photographed with Pope Benedict XVI. Alarms, false ones, apparently, were rung when he failed to respond publicly to President Hugo Chavez's re-election earlier this month. A Venezuelan journalist, according to the Miami Herald tweeted predictions that Cuba would announce Castro's death within 72 hours. Finally, a Venezuelan doctor who lives in Naples, Florida, who previously issued erroneous claims about Chavez's illness, proclaimed that sources in Cuba had told him that Fidel Castro had suffered a catastrophic stroke. It turns out, the ghouls, once again, got it wrong. 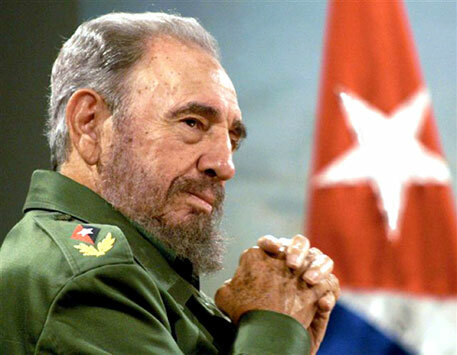 Castro's family issued a statement saying that Fidel was still alive. He published a letter, congratulating graduates on the anniversary of a Cuban medical institute. He met at the Hotel Nacional with Venezuela's former vice president, who waved a picture of the former leader looking very much alive. Finally, as the Associated Press reported, state media published a photograph of Castro holding a "proof of life," dated copy of the newspaper Granma, with an accompanying comment by the former president, "I don't even remember what a headache feels like." But don't think this will put an end to the U.S. addiction to morbid speculation. The Cuban government protects the health condition of its leaders with the stamp of secrecy. The city of Miami is updating its "Fidel death plan," and is busy finding a replacement site for its fiesta, as the Mayor Tomás Regalado confessed, the current document still lists the Orange Bowl as the place for celebrants to go. Early this year, Governor Romney recommitted U.S. policy to the assassination route, "If I'm fortunate to become the next president of the United States it is my expectation that Fidel Castro will finally be taken off this planet." Then, there's the Helms-Burton Act, which prevents the U.S. from recognizing the government of Cuba until its government no longer includes Fidel Castro and Raul Castro. So far as we can see, the vestigial tail will continue to wag the dog of U.S. policy for a while longer. The day after the US elections, the central square in Florida was crowded at lunchtime: workers tucking into cheap pizzas on park benches, sheltering from the sun or chatting, leaning on their bicycles. But unlike in its namesake across the water, President Barack Obama's victory was creating little stir in Cuba's own Florida. "I didn't follow it at all," said Rafael, a computer technician on his lunch break. "But I think Obama is better than the other one," he says, referring to defeated Republican candidate Mitt Romney - a common view here. President Obama is generally seen as the least worst option for Cuba. In his first term, he relaxed travel restrictions for Cuban-Americans to the island and lifted the limit on how much money they could send back to their families. That has made day-to-day life slightly easier for some - including here in Florida, Cuba - and for them, Mr Obama's re-election is a relief. Mr Romney slammed the policy change as "appeasement" and vowed to reverse it. The changes have provided important funds, and supplies, for many of the Communist-run island's estimated 400,000 new, private businesses; and by extension they have helped those taking advantage of their new freedom to buy cars and houses, if they can afford it. "That family help is very important in an under-developed country, you can really feel it here," said Rafael. But, like many here, he had hoped for more. The US president talked of a new era in relations with Latin America at the start of his first term but many Cubans are disappointed with the result. "The only thing I would ask of him is to lift the blockade, so we Cubans can breathe a little," said Dana Yeves, buying a paper cone of donuts from a street cart. The "blockade" is how Cubans refer to the five-decade old trade embargo imposed on the island by the United States. The embargo, dating from the Cold War, was aimed squarely at Cuba's leadership. Instead, ordinary Cubans have borne the brunt of a policy that prevents the sale to Cuba of all but medicine and food, while Fidel and now Raul Castro have run Cuba since 1959. Dana believes there is little chance that Mr Obama will end the embargo. "I think he'd have done it already, if he was going to. The people controlling politics over there are the gusanos," she said, using the pejorative term "worms" for Cuban exiles in the US, who campaign relentlessly against any easing of the sanctions on Communist Cuba. "Let's hope it happens, but I don't think the gusanos will let him change things even if he wanted to." This month, the UN General Assembly will hold its annual discussion on the US policy, proposed by Cuba, and, as usual, is likely to vote overwhelmingly to condemn it. Ahead of the debate, the Cuban government has been running its usual awareness-raising campaign in the national press, and screened a new documentary in Havana on the embargo's impact. The film includes a young musician and a circus student explaining their difficulties, with captions blaming everything on the embargo. "There's no reason to think anything would change, whoever is president," said Andor Piloto, who was in the audience. Like many there, he is an activist with Cuba's Communist Youth. "I'm really not interested in who wins, we just want them to change more than 50 years of bad policy towards Cuba. We want to live without the blockade one day," Andor says. "We want to be treated like any other country," he said as he and the other young Communists boarded old, yellow US school buses to head home. "The Republicans do all they can to squeeze Cuba, but Obama has done nothing for us either," said Havana pensioner Alberto. Improved remittances and flights for Cuban-Americans were all very well, Alberto said, but meant little to the vast majority of Cubans who like him had to get by with a state salary or pension of under $20 a month. "I'd say the best thing he can do now would be to lift the blockade. 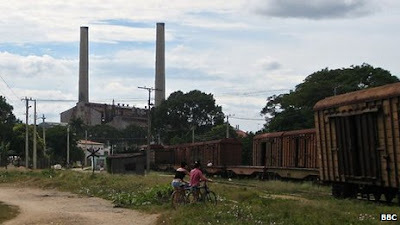 That way it would show that all Cuba's problems can't be blamed on the blockade; they're Cuba's fault too," said Alberto. With so much to occupy President Obama, it is hard to imagine that ending the embargo will be a priority. But it is the one thing Cubans want from the US - and the one unchanged element of their relationship for more than 50 years. Can co-operatives revive Cuba's sagging economy? On 5 August 1994, residents of Havana poured on to the fabled Malecon, the wide, salt-sprayed boulevard that separates the city from the sea, and mounted the largest public defiance of Cuba's government since the revolution. The 'Maleconazo Uprising' as it came to be known, was ignited by a host of factors. The day before there had been harrowing reports that some 40 people were left to drown by security forces when a leaking tugboat carrying refugees bound for the US had sunk seven miles off the Cuban coast. The reports, vigorously denied by the government, gave focus and immediacy to a simmering discontent that finally spilled into the open. Rarely, if ever, had anyone heard such calls for an end to Fidel Castro's rule. But the defiance was charged with desperation. In the aftermath that followed the collapse of the Soviet Union, Cuba's economy had gone into a tailspin. With the loss of its primary trading partner, 80 per cent of Cuba's trade came to an end. So did the billions in Soviet economic aid. Overnight Cuba was plunged into a period of such hardship and deprivation that there were stories of people eating the animals at the Havana zoo. It was christened, in characteristic state speak, as the 'Special Period in the Time of Peace'. That was 22 years ago, and the 'Special Period' is still in full effect. The uprising on the Malecon, although brief, was taken as a wake-up call by the leadership. Today, Cuba is at a crossroads. Caught in the opposing tensions of economic survival on one hand and adherence to its socialist revolution on the other, the country is embarking on a process that will either salvage the meaning of socialism, or bequeath the country to those who are waiting, once and forever, to bury the ideals of its revolution. Cuba, sheltered for so long under the umbrella of its Soviet protector, is among the last in a long string of socialist states that have had to confront the failures of centrally planned economies in the age of capital. But Cuba is utterly determined not to fall prey to the free-market fictions that led to such wreckage in Russia and in all those former Eastern Bloc countries that had been lured down the capitalist path. Cuba is taking a different route – one that seeks to reconcile socialist ideals with enterprise. Slowly, reluctantly, Cuba's leaders, spearheaded by Fidel's brother, Raúl Castro, are flirting with the market. They are relaxing the stranglehold of the state on the private economy. They are restructuring large swathes of Cuba's agricultural sector. They are devolving a measure of economic planning and control to municipalities. They are allowing the emergence – very limited to be sure – of private enterprise. But most interesting of all, they are paying serious attention to the role of co-operatives in transforming the Cuban economy. I was in Cuba as part of a Canadian delegation of co-operators that had come to learn what this transition to a co-op economy meant and to offer what support we could. It was my second trip to the country and I could immediately see the differences. There were cafés, restaurants and small businesses everywhere. Fruit stalls and craft markets abounded. Havana was brimming with entrepreneurial life. Nevertheless, my own feelings about the new direction were mixed – a combination of sympathy with the stated goals of the effort, and misgivings about whether the particular brand of socialist ideas – and practices – that govern Cuba's political realities were at odds with the task. Can co-operatives save socialism in Cuba? Or will they suffer the fate of co-ops in other countries where they were used to serve the needs of the state rather than those of the citizenry? This was the question in my mind. In every case where governments have sought to bend co-operatives to state interests, three results have followed: a hollowing out of co-op principles and the reduction of co-ops to mere extensions of the government; the ultimate failure of these enterprises and a dependence on the state; and the defamation of the co-op model which came to be seen, quite correctly, as a means of state control. In the countries of the former Soviet Bloc, co-operatives have yet to salvage their reputation. Will this happen in Cuba? After the revolution and the expropriation of the big agricultural estates, co-operatives were viewed through a Soviet lens, as a way to achieve large-scale production through state-controlled collectivization. As a result, co-operation as a form of mutual self-help, independent from the state, is little understood – either by the state or the populace. Co-operatives are still viewed as a means of helping the government solve the failures of a command economy. But the questions of co-op autonomy and open markets are the keys that will determine whether co-ops will play the role that is hoped for them, or whether they will survive at all. Cuba's newfound affection for co-operatives is entirely understandable. Faced with the enormity of the economic challenges, the leadership realizes that something has to change. In sector after sector, inefficiencies and dysfunctions are staggering. In a country whose prime challenge is to feed its people, 50 per cent of the state-owned arable land is uncultivated and unproductive. Only 18 per cent of the land is irrigated. Since 1989, agricultural exports have declined from 80 per cent to 18 per cent of the national economy. 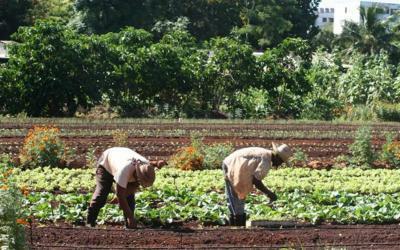 The agricultural question is paramount in Cuba and it is here that much of the focus on co-operatives lies. 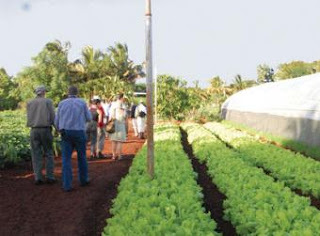 In 2008 the government sought to improve agriculture production by turning state farms into co-operatives. These co-ops, called UBPCs, were turned over to the farm workers to own and operate under a lease arrangement with the state. But unlike co-ops that had been organized by independent farmers to share land, farm equipment and labour, many of these state-mandated co-ops floundered. There was no effort to teach former state employees how to run a co-op, no experience in managing an independent enterprise, no choice over where co-ops could purchase supplies, or what they could produce, or to whom they could sell their produce. Supplies were bought from state departments, quotas still had to be sold to state agents. And if a co-op wanted to pursue a new business that was not mandated in its charter, it could not do so. In short, the co-ops were hamstrung by a closed market system dominated by the state. But lessons are being learned. Constraints are being lifted and a more open system may emerge for co-ops to access supplies and sell produce independently. Comprehensive co-op training is underway across the country. Housing is another sector in deep trouble. When the 'Special Period' came, 80 per cent of skilled labour abandoned the farms and fled to the cities. A major housing crisis followed. In Havana today, 11,000 people are living in shelters. Almost 120,000 people are on waiting lists for housing. In all cases, including those who own their homes, people live in housing that is crumbling into the ground. This is why a visit to Havana can be such a heartbreaking experience. How to reconcile such elegance with the corrosion and decay that eats away at these colonial buildings that now linger, ghost-like, from another era? In Havana, an average of 3.1 buildings collapse every day. The graceful old city is caught in something like a demolition progressing in slow motion. Housing is clearly one area where co-operatives could play a crucial role. Others include the provision of much-needed social services – like childcare and services to the elderly and the disabled. What is still lacking, however, is a legal framework to allow for such collective and civic forms of property. It is rumoured that co-op legislation will be introduced in 2013. But unless these co-ops can independently access labour, capital and supplies it is hard to see how they could function as autonomous enterprises. This is even truer in sectors like light industry where the government hopes co-ops can kick-start new enterprises. 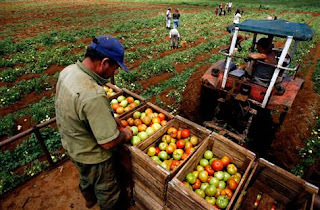 Cuba has to marry the market freedoms that are the precondition for co-operative enterprises with the controlling reflexes of an anxious – not to say paranoid – state. Not that the paranoia is unfounded – only that it is unhelpful. The threats that crowd Cuba are very real and very obvious. The bellicosity of the US shows no sign of letting up. Expatriate fanatics still nurse their revenge fantasies from nearby Florida. And there are other, more subtle dangers. The 'Special Period' now comprises 40 per cent of the time since the 1959 revolution. An entire generation has grown up knowing nothing else. A survival mentality has taken hold that corresponds to what is essentially a war economy of scarcity and subsistence. It is a corrosive environment that breeds individualism and alienation, and undermines the social solidarity that is, in the final analysis, the last refuge of the revolution. Co-ops are a key to making this possible. The political leadership today clearly understands what is at stake. Raúl Castro and his allies know that if the revolution is to have a legacy beyond them, change has to come and that they are its stewards. Despite the hardships and the discontent, the old revolutionaries still retain an allegiance from their people. The ideals of the revolution remain vital. But there are fears that those that come after will lack the moral authority to drive the changes that a new era demands. They are profound and mark a turning point for the country. Gone is the egalitarianism that Raúl Castro now says fostered a pervasive idleness that is distinctly unrevolutionary. Gone are the massive subsidies that propped up the state enterprises. They are required to earn their way or perish. Gone too is the use of government sinecures to absorb unemployment and to dispense patronage favours. The state intends to lay off 1.3 million workers in a system where the government, directly or indirectly, employs 85 per cent of the population. Where will these people go? Cuba's leaders hope that a combination of co-operative restructuring and independent entrepreneurship will take up the slack. Without further measures to free the economy from state controls this is not likely. But beyond this, there looms what is perhaps the single greatest threat to reform in Cuba – the state bureaucracy. For the thousands of functionaries that handle the patronage networks of the state and its enterprises, reform can only mean trimming back the powers that bestow their status and livelihoods. They will resist change at every turn. Ultimately, the future of socialism in Cuba rests on its leaders accepting that society is not the state and that the interests of the two are not the same. The survival of socialism depends on finding economic models that marry the ideals of solidarity and equity and social justice with that of open markets and free people. Co-operatives are a natural choice but it will take additional risk from its leadership and a trust in their people to make this bold experiment work. Despite the enormity of the challenge, and the grip the old socialist ideas still have on the political imagination, there is an unbounded pride in Cuba born of struggle and endurance against impossible odds. Cubans are survivors. They are resourceful and innovative, and among the most educated people in Latin America. Given the chance, they have created thousands of enterprises everywhere in the small spaces and crannies opened up by the new freedoms. And if Cuba's leaders can place their trust in their people, and in the endurance of the ideals they have fought so hard to protect, the co-operative economy they hope to build might yet forge a new kind of civic socialism for a world in desperate need of new visions. This essay was written by John Restakis for the New Internationalist. John is executive director of the BC Co-operative Association in Vancouver and has been active in the co-op movement as a researcher, educator, writer and advocate for 20 years. His most recent book is 'Humanizing the Economy – Co-operatives in the Age of Capital' (New Society, 2010). In September 2012 – to coincide with the 14th anniversary of the arrest of the Miami Five – the Cuba Solidarity Campaign launched a major parliamentary action in support of the Miami Five and their families as Early Day Motion (EDM) 497 was tabled in support of visitation rights for Olga Salanueva and Adriana Perez. Olga and Adriana have been denied visas to visit their husbands – Miami Five prisoners Gerardo Hernandez and Rene Gonzalez – on 10 separate occasions. In the case of Olga Salanueva, she has been told she is permanently ineligible to apply. EDM 497 calls on the U.S. administration to make a humanitarian gesture and grant visitation rights to allow Olga and Adriana to see their husbands. It cites an Amnesty International report which notes that “denying the men visits from their wives is unnecessarily punitive and contrary to standards for humane treatment of prisoners and states’ obligations to protect family life”. A special parliamentary meeting with Aleida Guevara helped launch the EDM. Michael Connarty MP – who tabled EDM 497 – described the imprisonment of the Miami Five as “a breach of human rights” and criticised the hypocrisy of the U.S government who claim that their constitution was founded on these principles. Michael lamented the fact that Gerardo and Rene have been denied the right to see their wives for 14 years. “Murderers and people who have committed the most heinous crimes get these rights,” said Michael. And he described America’s continuing denial of this right as “the worst indictment of any country”. Baroness Angela Smith – speaking at a CSC fringe meeting at Labour Party Conference – emphasised the importance of collecting as many MP signatures as possible for EDM 497. “If it gets more than 250 signatures it is reported to cabinet and it is considered for debate in the House of Commons”. Angela recalled a conversation she had with Adriana which illustrated how the ongoing treatment of the Miami Five had tragically destroyed their family life. As Adriana told Angela, “I always thought I’d have children – now I know I will never have a family”. Early Day Motion 497 has so far been signed by over 80 MPs and – out of over 700 EDMs tabled in this parliamentary session – has the 15th highest number of signatures. It is supported by politicians from ten different political parties including: Conservative, Labour, Liberal Democrat, Green, Respect, Scottish National Party, Plaid Cymru, Alliance Party, DUP, and SDLP. 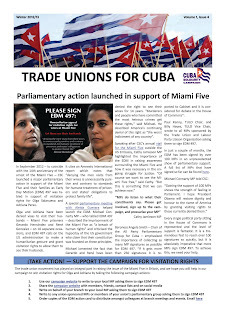 The only Westminster party not represented on the list of signatures – owing to the fact they abstain from parliamentary business – is Sinn Fein, although their MPs have expressed their support for the Miami Five. Ordering copies of the EDM action card to distribute amongst colleagues at branch meetings and events. Email here to do so. Remember to let CSC know about any response you receive – either good or bad. As Baroness Angela Smith said, “if your MPs refuses to sign EDM 497, write to your local press and tell them that they’ve refused to sign it”. If they’ve agreed to sign it, why not tell your local press too? 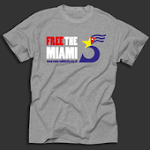 The more we can spread the word about the injustice of the case, the more likely we are to see the release of the Miami Five. Please get involved because you can make an invaluable difference to the Miami Five and their families. A factor in President Obama's potential victory in Florida are Cuban Americans who wish to maintain the normal liberty to travel and send remittances/investments. More than 25 percent of the Cuban community returned last year and an even larger percentage presumably provide assistance to their family, and their own future stake in Cuba. Although not all have become citizens and voted, enough have that Obama can expect to increase his percentage above the 5 percent gain over Kerry in 2008. In addition Cuba's migratory reforms have significantly broadened the group who can benefit from freedom of travel. In particular, the second phase announcement allowing return of previously excluded categories of illegal emigres affect people who have lived in the U.S. longer. 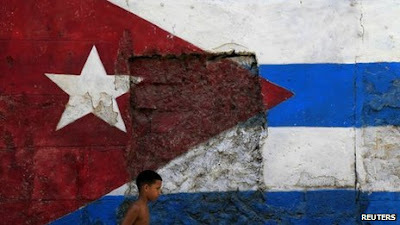 With little hope of visiting Cuba, they likely have been more inclined to citizenship. Will they want to give up the opportunity suddenly afforded them to return? All these folks know that a Romney/Rubio/Diaz-Balart/Ros-Lehtinen victory will slam the door shut to at least the Bush-era level of restriction of travel once every three years and very limited remittances. 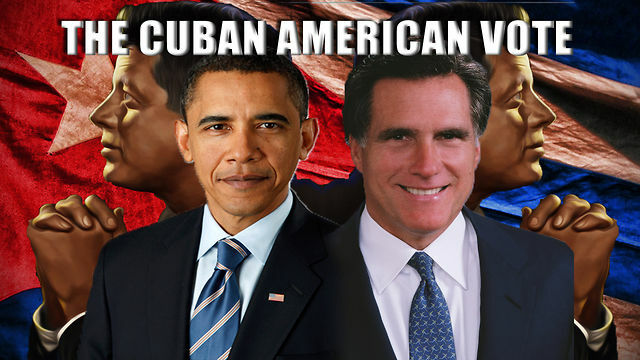 Romney's campaign has run a scurrilous Spanish language ad in south Florida linking Obama to Presidents Chavez and Castro. Havana's denunciation of the semi-embassy U.S. Interests Section for meddling in domestic politics is a way to say publicly that it does not have a dog in the US race. Even though, of course it does. For more than 200 years Cuba's fate has been intertwined with the U.S.
Only the hard-liners in Cuba welcome a hard line victory in the U.S. The government and party recognize that an Obama victory at least keeps the door open to Cuban Americans and purposeful visitors who are affecting public and elite opinion in the U.S. and in the case of the former, providing much needed grassroots investment. There are few American visitors who depart believing embargo and isolation make any sense, regardless of their conclusions about Cuba's political and economic system. Moreover, a second Obama term offers the potential of deeper change in the bilateral relationship. The denunciation of USINT also signals that Havana will continue to maintain firewalls until Washington is prepared to grant the same respect for Cuba's sovereign independence as it does to Vietnam and China. In his October 8 foreign policy speech, Mitt Romney suggested that our Latin American neighbors want to resist the failed system of Fidel Castro and to deepen ties with the U.S., but are uncertain of U.S. support. “Where does the U.S. stand?” he has them asking. He almost has it backward. The U.S. is now the only country in the Western Hemisphere not to have diplomatic and trade relations with Cuba. In that sense, we, not Cuba, are now isolated. And over a number of years now, the vote in the UN General Assembly to condemn our embargo against Cuba has seen the great majority voting to condemn, and only Israel and sometimes one or two tiny countries (obviously after U.S. largesse), voting in favor. And Israel, it should be noted, may vote with us, but it is one of Cuba’s most active trading partners. In other words, it votes with us but ignores our policy. According to a white paper issued by Romney on January 25, U.S. travel restrictions on Cuban-Americans were loosened as part of Obama’s “appeasement strategy” toward the Cuban government. But the Romney folks had – and have – that one all wrong. The controls were eased not to appease the Cuban government, but as a gesture to the Cuban-American community, the majority of whom want to travel to see their families on island and want to be able to send them money. We’ll see how they react to being told that were Romney elected, they’d have to go back to the days of George W. Bush when they could travel only every three years and remit only limited amounts of money to those families. 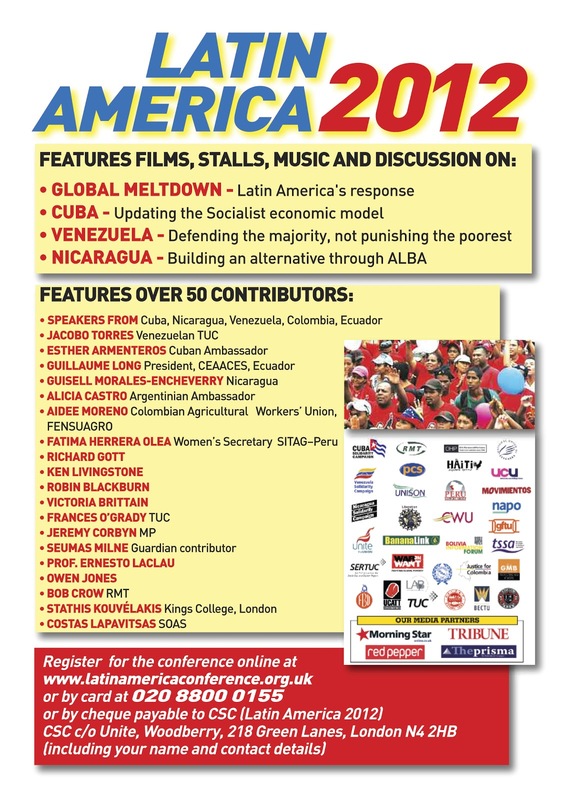 Interesting to note also that at the last Summit of the Americas in April of 2012, our Cuba policy was roundly condemned by virtually all other hemispheric governments, who made it clear that if we stick to barring Cuban attendance, there would be no more summits, for they, the other governments, would not participate. In his January 25 white paper, Romney also swore to adhere strictly to the Helms-Burton Act of 1996, including implementation of Title III. But Helms-Burton has been on the books now for some 15 years. It’s had little effect on the Cuban government and wouldn’t have any more under Romney than under, say, George W. Bush, which is to say, none. Title III has never been implemented, not even by George W. Bush, and never will be. It is so utterly extraterritorial in nature that it isn’t implementable. We would all look forward to seeing the Romney team give it a try. 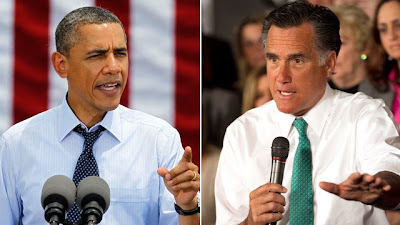 Romney also vowed on January 25 to “break the information blockade” by ordering “the effective use” of Radio and TV Marti. Good luck. TV Marti is effectively blocked. Radio Marti has been on the air for years but has little listenership, not for technical reasons, but because, as one Cuban put it: “the programs all seem to be made ‘for and by’ a Miami audience.” That doesn’t seem likely to change, whatever the technical instruments employed. Romney on January 25 also vowed to seek ways to hold the Castros accountable for the shoot-down of the Brothers to the Rescue aircraft back in 1996, leading to the death of four Cuban-Americans. A worthwhile objective perhaps, but in fact so much pie in the sky. It will play well in Miami, but isn’t likely to achieve anything. The Cycle Cuba Challenge is a fantastic way to experience Cuba and to raise money for the Music Fund for Cuba at the same time. The experience of a lifetime. 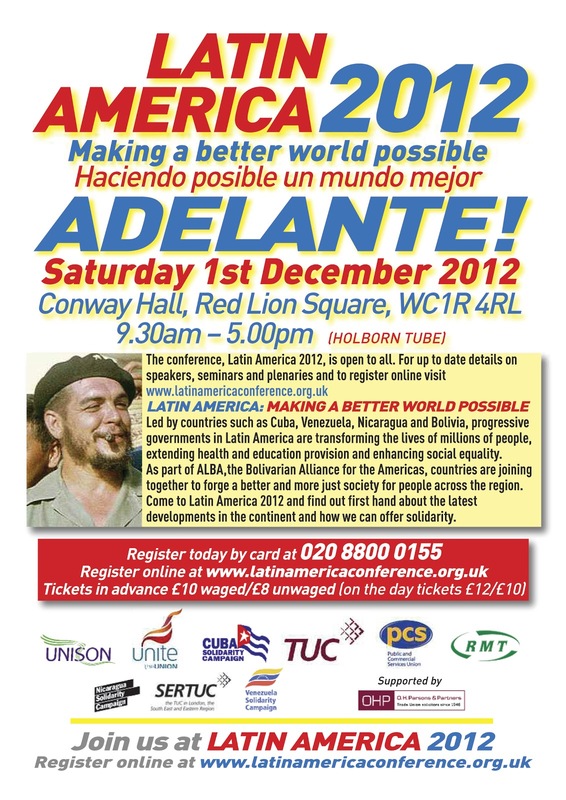 Break the Blockade with Cycle Cuba Challenge. This year the Challenge will be supporting Music Fund for Cuba; raising funds for the Abel Santamaría School in Havana for visually impaired children and our revolutionary ciclistas will be delivering vital educational materials direct to the school. Cycle to the salsa beat along an exhilarating 310-kilometre from Soroa to Cayo Jutiás and back to San Diego de los Baños in La Güira National Park. The route passes through the lush forests of Sierra del Rosario, the tobacco fields of Pinar del Río following the Viñales Valley, with its soaring limestone mogotes, onto the Gulf of Mexico with its pristine white sandy beaches. The route passes through dramatic scenery and along quiet rural roads with opportunities to experience vibrant Cuban culture at first hand. The Challenge group will join the inspirational May Day Rally in Havana’s Plaza de la Revolución plus many unique visits on route. For more information and to download an information pack, click here. In this year's US Presidential election, half of Cuban-Americans who are eligible to vote either came from Cuba after 1994 or grew up in the United States. Unfortunately, the White House is passing up the opportunity to hold a rational discussion of Washington’s policy towards Cuba, writes Arturo Lopez-Levy for Open Democracy. US policy towards Latin America has paid a substantial price for President Obama’s kowtowing to the Miami hard-right wing. For example, Venezuela withdrew from the Inter-American Commission of Human Rights of the Organization of the Americas (OAS), and there is a chance that no Summit of the Americas will happen in 2015 unless the United States changes its position on Cuba’s participation. Several countries in the Americas, from Nicaragua to Ecuador, spent years without a US ambassador due to Senator Marco Rubio’s (R-FL) obstructionist caprice. In a clear distortion of American values and presidential foreign policy prerogatives, the pro-embargo machine is taking the debate away from questions related to security threats and the constitutional right to travel theoretically enjoyed by Americans, to whether it is fine, or “ethical”, for an American traveler to smoke a cigar, drink a mojito, and dance salsa. Unfortunately, the Obama administration's Treasury and State Department have surrendered the constitutional and moral high ground. 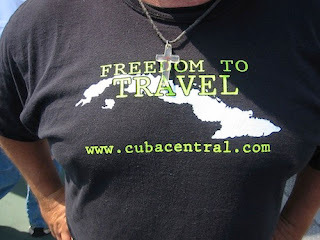 Could somebody in the administration ask Senator Rubio: what is the problem with Americans having a good time once they do their full share of religious, educational, and humanitarian work in Cuba? And exactly what threat does a mojito or a salsa dance pose to American national security? According to Ellen Cragger from the Detroit Free Press, "the process of application for a people-to people-travel license grew up from six pages to more than a hundred. There has been also a massive slowdown on the responses of applications for new licenses and renewal of old ones for people-to people-travel." Appeasement is precisely Obama’s strategy, except that it is aimed towards his adversaries in the Cuban-American right instead of Cuba. Nobody is fooled by such tactics. Watergate (with the Cuban exiles as plumbers) and the 2000 elections Dade County incidents should remind every Democrat that Miami doesn't play "second fiddle" to Chicago or any other place in dirty politics. By showing no spine to defend democratic ground, the White House will not attract a single Cuban-American vote to its side. In fact, it might make more than one of its supporters stay at home in November. Meanwhile, the Cuban-American pro-embargo lobby is working full speed to intimidate. In Miami, where nobody has ever apologized for using terrorism inside American territory, “somebody” set fire to the offices of Airline Brokers, the charter company that took American pilgrims to Cuba for Pope Benedict XVI’s visit. Not one of the Miami elected officials called for cooperating with the authorities or for condemning a terrorist attack on a business that honors every single rule in the book. The Democratic Party could have placed Republican congresswoman Ileana Ros-Lehtinen between the “rock” of condemning practices that are perfectly fine for her base and the “hard place” of avoiding condemning a terrorist attack. It missed its chance. What about the South Florida press and TV? The Miami Herald editorial page condemned the attack but did not demand a similar attitude from every elected official in the city. Neither Senators Rubio or Bill Nelson (D-FL) nor Congresswoman Ileana Ros-Lehtinen (R-FL), who represents the district where the company is located, were ever asked by the press for their opinions. On Radio Marti, a government-funded "Radio Free Europe"-like broadcast emitting to Cuba, Obama appointed director Carlos Garcia to prove his bona fides to the Cuban-American right. In an editorial page in the spring, Mr. Garcia showed who the boss was when it comes to America's foreign policy towards Cuba. Garcia used taxpayers’ dollars to call Cuban Cardinal Jaime Ortega “a lackey”, because of his perceived indulgence towards the Castro regime. Of course, Garcia is entitled to express his own opinions under our first amendment. However, as long as Congress doesn’t pass a legislation committing the US government to censure and insult the Cuban Roman Catholic Church, the visible spokesman of those who defend dialogue and national reconciliation in Cuba, Mr. Garcia should not use a public institution to vent his adolescent catharsis. Garcia’s editorial was not a demonstration of force against the Castro regime but towards moderate Cubans and even Obama’s own State Department, who supported the Pope’s visit. None of this was a surprise to observers within the Cuban-American community, but there was a certain amount of hope that the White House would have some sense of decency and commitment to its own limited engagement policy towards Cuba. Wrong. Instead of supporting a constructive approach to President Raul Castro’s economic reform, Washington, not happy with one bad policy towards Cuba, is en route to having two: Obama’s respect for the 1996 Helms-Burton law (which strengthened the embargo and applied financial sanctions to non-US companies trading with Cuba), and Garcia’s preference for an even more contentious implementation of it. The lack of commitment to Cuban Americans who defended Obama’s engagement steps, such as the easing of Cuban-American travel and people-to-people contacts, might have negative consequences for his support in South Florida. After many decades of exclusion from political life, both in Cuba and Miami, Cubans everywhere have an instinct to wait and see. One of the reasons why candidate Obama attracted the vote of Cuban-American progressive and moderates in 2008 was his article in the Miami Herald announcing clearly how he would reverse President George W. Bush’s policy on travel and remittances. It marked a contrast with then Republican presidential candidate Senator McCain’s commitment to fifty years of nonsense. But since January 2011, when the Obama Administration expanded the categories of people-to-people contacts, the White House has been reluctant to strengthen its followers in the Cuban-American community. Admittedly, the President has firmly defended his policies towards Cuba, especially his family travel policy, from attacks from the Florida right; but he has avoided taking a high profile on this matter. The end of the restriction against family visits, a disposition that bothered many who were unable to visit sick parents or even to attend relatives’ funerals, was announced a day before the fifth Summit of the Americas. The measures in favor of people-to-people contacts of January 2011 were adopted on a Friday afternoon through a discreet communiqué from the White House. During the 2010 campaign, no major Democratic figure came to campaign with congressional candidate Joe Garcia, who supports the trade embargo but campaigned for everything Obama stands for concerning the travel policy. No wonder a suspicion has grown that Obama is content with the status quo of Republican dominance in the Cuban-American community. A second term could hopefully prove us wrong on this. To reach Cuban-American voters under 45 years old, increasingly registered as Independents or Democrats, President Obama should double down on his narrative of engagement, people-to-people contacts and dialogue with Cuba. Electoral considerations aside, Cuba has become a symbolic test case of the Obama administration’s will to adopt a realist approach to strategic problems in the hemisphere, such as the calamitous state of the OAS, immigration reform and drug ban efforts. Were a new constructive era of US-Cuba relations to begin, the new populist regimes would lose a rallying flag for their radicalism. A concentration on “good neighbors” actual multilateralism and not rhetorical fights could make a beginning.